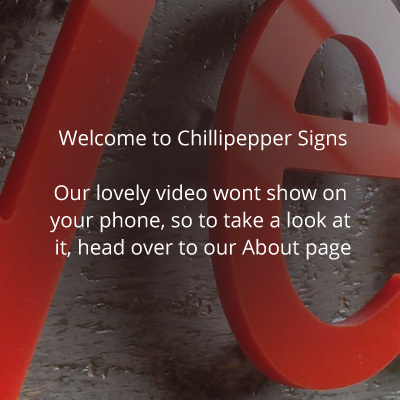 Established in 2003, Chillipepper Signs have grown each year with continued loyalty from our customers. We have built a solid reputation for delivering quality signage to diverse sector. Some are sole traders and SME’s, others are corporate companies, housing associations and local government departments. Big or small, they all enjoy the same personal and professional service, ensuring that their projects are delivered on time and within agreed budget. Our team provides technical advice, design, production and installation to the highest of standards. We have many happy and returning customers. We have a wealth of experience behind us, and we know what works. Talk to us about what you are looking for, and we can steer you in the right direction.